I’ve mentioned the produce walla (vendor) that has a stand at the base of our building. Not only is it wonderful to be able to make a quick trip down the elevator for fresh produce, I’m always surprised at the variety he has to offer in such a small space. I recognize a large portion of the items, but I must admit some of them have me baffled. I’ve been purchasing things I recognize and know what to do with, but it’s only a matter of time before I start experimenting. 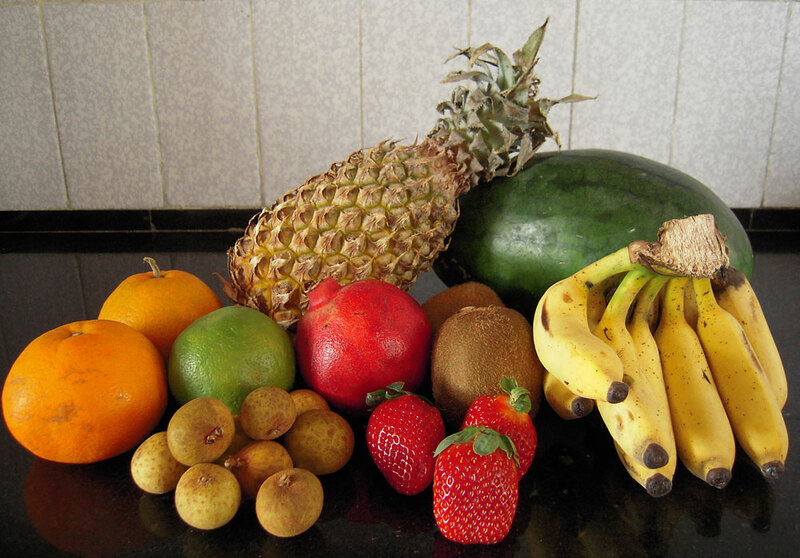 A baby watermelon, a pineapple, 2-tangerines, 1-orange (that’s the one that looks like a lime), a pomegranate, 2-kiwis, a bunch of baby bananas, about a dozen lychee and a pint of strawberries. The strawberries got me at 70 Rupees, but they looked so good. 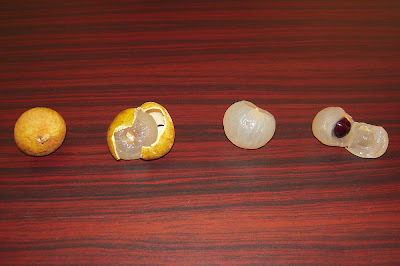 I’m sure all of these look familiar to you but you may not know what a lychee is; you can read about them here if you’re so inclined. 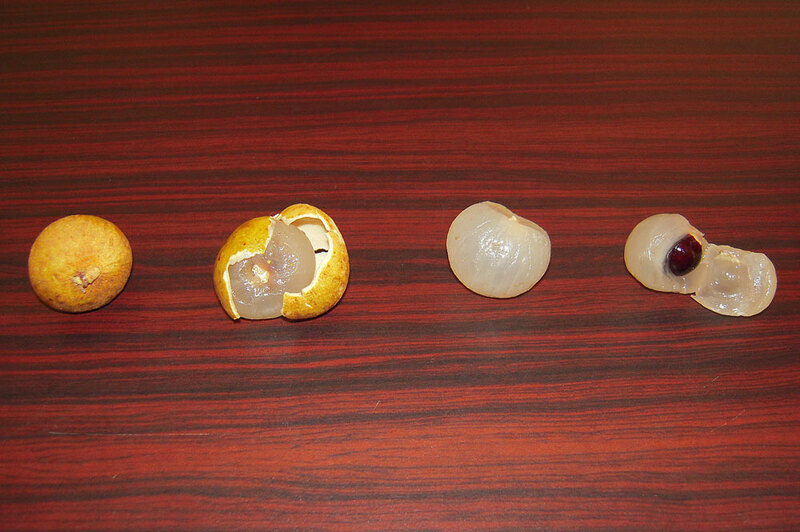 What you do is cut the top off and peel away the outer skin. Then make a small slice into it and remove the seed, which is slightly poisonous. I cut the top off the watermelon and filled it with some of the salad. Hey, it’s all about the presentation! 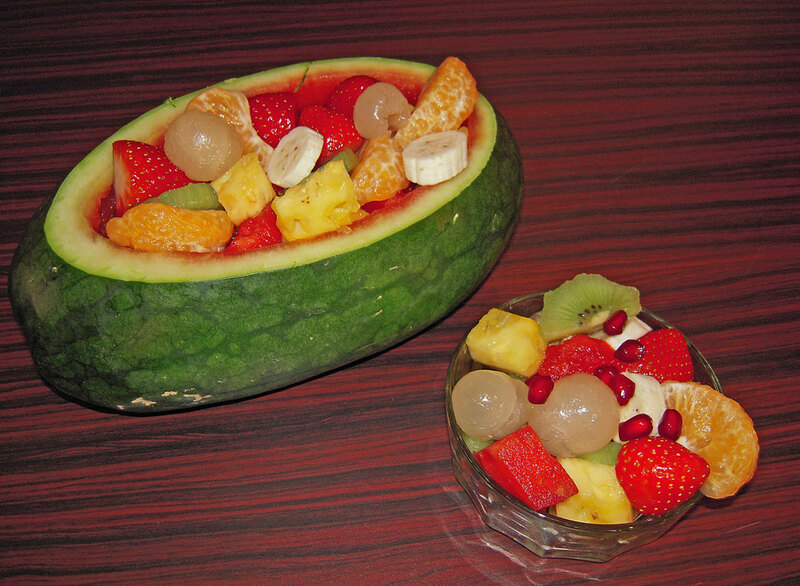 The small red things at the top of the bowl are pomegranate seeds. Up until now I'd only had store purchased juice, but apparently aside from making juice from them, you can eat them on their own or put them on top of salads or deserts. They are both delicious and good for you! I will admit that when I got back up to my flat I wasn’t sure what to do with it, but that’s where the internet can be your best friend. Here’s the video I found on YouTube showing me just how easy it is to remove the seeds. Now even though I went down that day in search of fresh fruit, I did happen across these little guys. 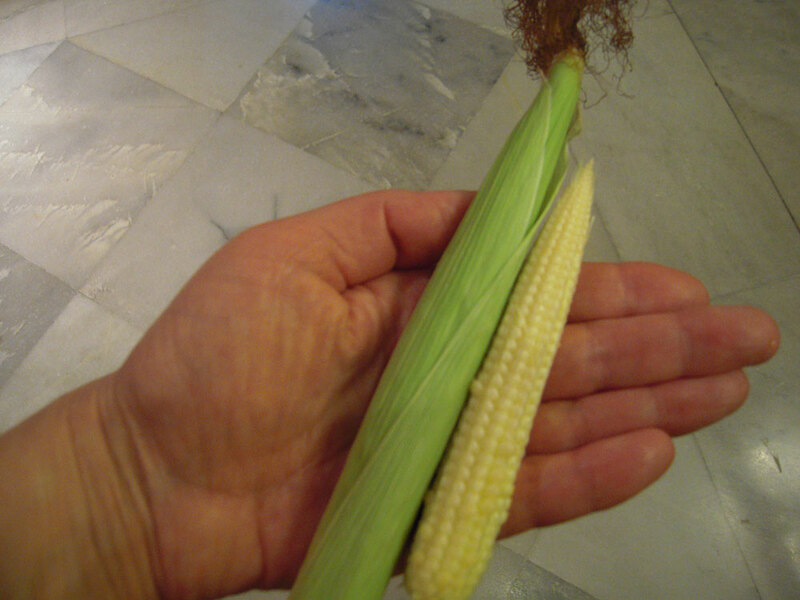 Baby corn still in the husk. It doesn't get much fresher than this! Though it was tempting to cook them up on their own and watch Paul try to eat them Tom Hanks style ala ‘Big”, they were actually added to the stir fry I made for dinner the next day.